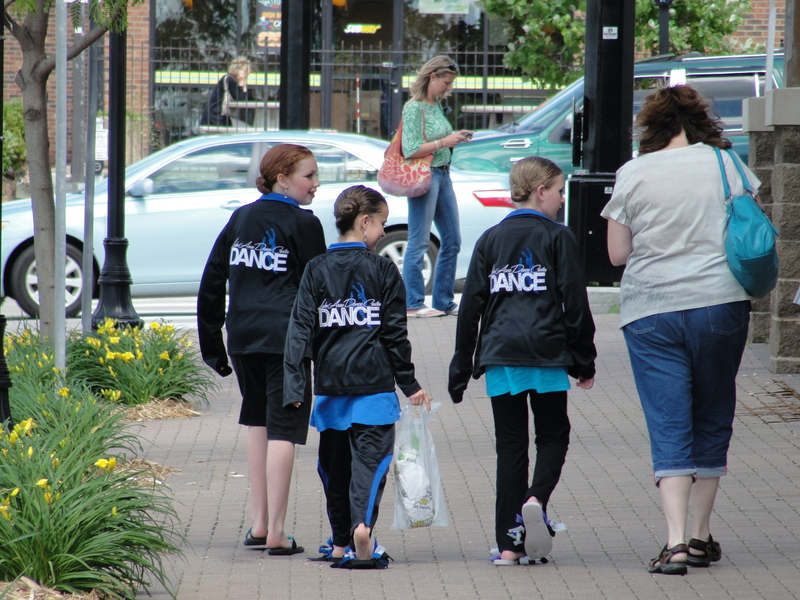 A couple weeks ago, we went to our first ever National Dance Competition. 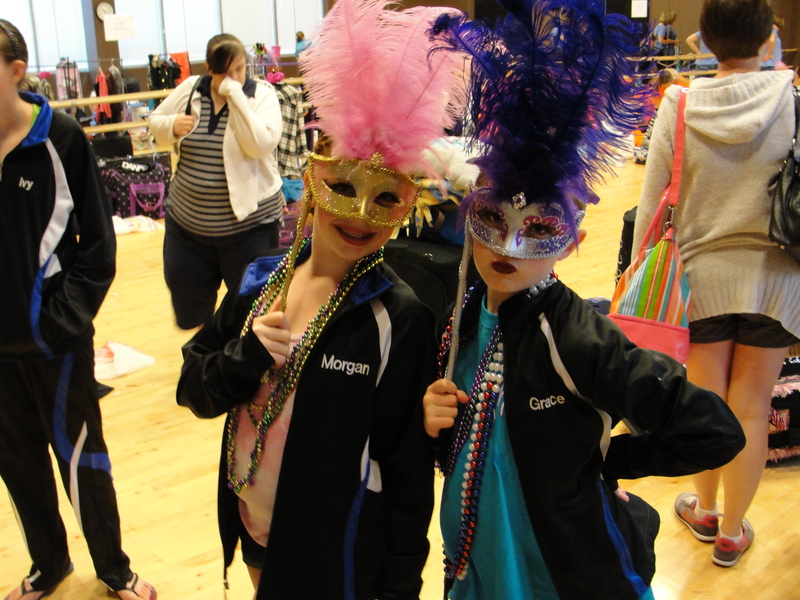 Grace was competing with the Lake Area Dancers at the Masquerade Nationals in Burnsville, MN. It was an awesome experience! The week started for us on Tuesday. Grace decided to try some Master Classes. She was only going to do tap and hip hop, but decided at the last minute, she wanted to do all 5 they offered. I was shocked, but considering the other 5-6 girls from her studio were doing at least the first 4, it wasn’t totally surprising. The classes Grace took included: musical theater, jazz, hip hop, lyrical and contemporary. It was 5 hours of very intense dance training. After hour 4, I peeked in, and saw Grace texting. I asked her how it was going, and she gave me the thumbs down signal. Soon, she came out crying that her ear hurt. Being that she can be a bit of a Drama Queen, I figured she was just tired and overwhelmed. I encouraged her to go back in for the last hour. About 45 minutes later, one of the teachers brought her back out, saying she had been crying the whole time because her ear hurt. On the way home, she was screaming and pulling at her ear. I stopped at a Minute Clinic, and sure enough, she had an ear infection. That night, her ear drum ruptured. I felt like a terrible mom. Wednesday of Nationals week, we stayed home and relax. Grace’s ear was REALLY hurting her. I was glad the ear infection happened when it did, and not the next day, since she had to dance on Thursday morning. Thursday was a loooooonnnnnnggggg day! Grace danced at 8 something AM, then 1 something, then again around 9 pm. 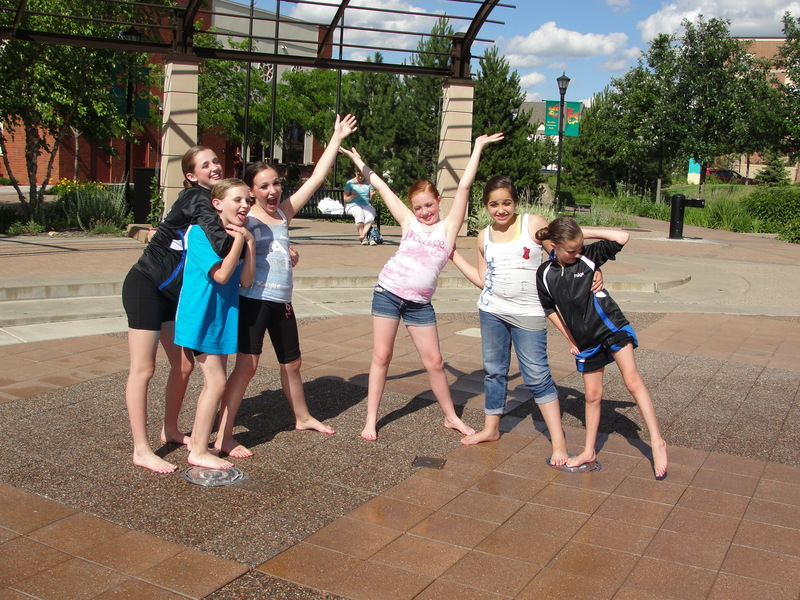 During the day, both of my kids (along with at least 100 other kids) were playing in the fountains outside of the Burnsville Performing Arts Center. It was a great way to spend the middle of the day. We also got to watch some of the other groups from our studio perform, since most of the large groups were performing that day. Grace’s first dance was their tap dance to “Hungry Like a Wolf”. While their energy level seemed a bit lower than usual, their technique seemed great. It was the first competition that no one dropped their flowers or ears. We (the parents) were VERY excited for them! This was the dance they had won the encore award with, and at least one of the judges at Nationals was the same as at Regionals. We were hopeful that they might get called back for an encore again. Imagine our surprise when they only scored a Gold. Gold isn’t terrible, but with less noticeable errors on a dance they had scored Platinum a couple times, and High Gold on? We were shocked! Luckily (in this case), awards weren’t until after 9 PM, so they were done dancing before they got their scores. Their next dance was their lyrical dance, “God Bless America”. They did a nice job on it. I think I saw them perform it better once, but their teacher, Mike Dietz (@Mike_Dietz) thought it was the best they had ever done. The judges seemed to agree, since they scored a High Gold on it. It was the first time their lyrical dance had scored the highest of the 3 dances. After a day of cheering on their classmates, playing in the fountains, and walking over to Subway for dinner, they finally got to perform their jazz dance to “Body Language.” I thought it was the most together they had been on this dance, and was very proud of them. The judges, once again, didn’t agree, and scored them with a Gold ranking. We were all very disappointed. This was not the set of results we had hoped for at Nationals. While the Angels, the group Grace is a part of, had disappointing results, we were excited to find out that several Lake Area dances had been invited back for Finals on Friday. The Sparkles, the 8-10 year old girls, had their tap dance to “Whole Lotta Shakin'” invited back to go for the “Petite Division National Dance Off”. 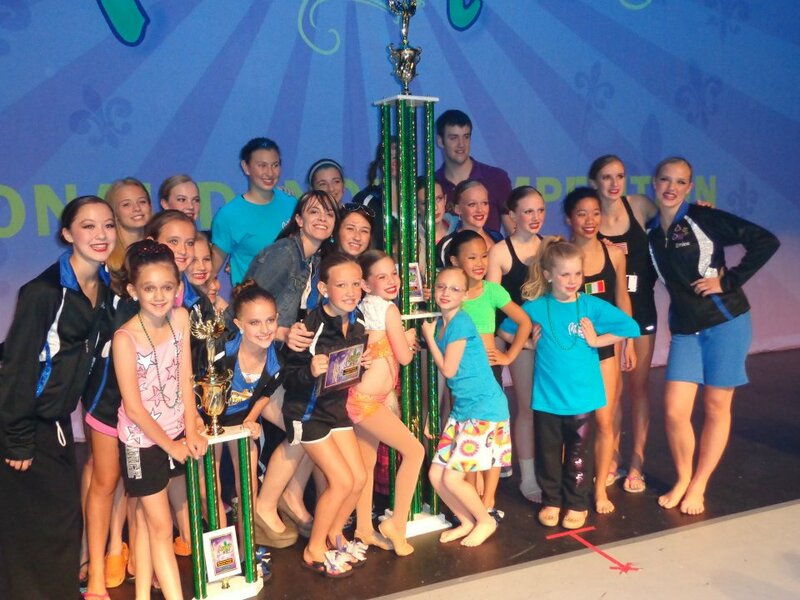 One of our small groups performed “Steam Heat” in the Petite Encore Performance category, and won the National Title! Three of the girls from that dance also performed their trio “Stylin'” in the “National Champion Intermediate Division Dance Off.” Our teen girls performed “The Olympics” in the “National Championship Large Group Dance Off” category. We didn’t end up staying for the end of the Final Awards. Michael, being 6, was completely OVER being at the competition all day again. While he did meet some boys who danced for a studio called Madill Performing Arts Center (who won the encore award), he was just ready to go home. Unfortunately, by leaving early, we missed the biggest announcement of the night: Lake Area Dance won the Intermediate Studio of the Year!!! The trophy they got for this huge honor was gigantic! Grace would have loved to have been part of this group that got their picture taken on stage with it! We had a lot of fun at our first Nationals, despite not getting the results we hoped for. We look forward to another competition season next year!